Nintendo announces Sherlock Pikachu detective game in Japan. 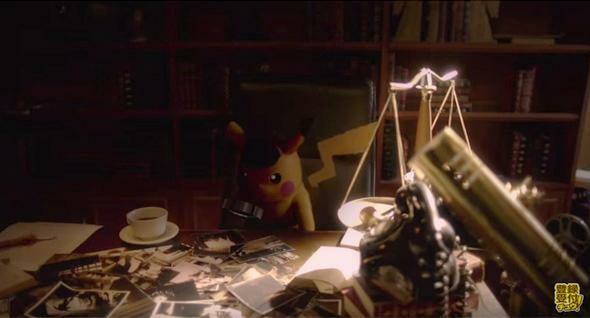 Sherlock Pikachu hard at work on a case. The BBC mystery series Sherlock won’t be back on the air for at least a year, but Nintendo wants to fill the void in our hearts. On Tuesday, the company announced a detective game for Nintendo 3DS starring Pikachu as Sherlock Holmes with human-boy sidekick Tim. Engadget’s Japan-based editor translates the game’s full name as “Famous Detective Pikachu: The Birth of a New Partnership,” and the trailer shows Pikachu wearing the distinctive Sherlock Holmes hat. It also contains clear references the Sherlock TV show, mimicking its music and aesthetic. The game, which will be released on Feb. 3, seems totally delightful. But there is a problem: It’s only being released in Japan, with no information about the possibility of an English-language version. The 3DS download will cost 1,500 yen (about $12.65). It’s a small price to pay compared to the emotional cost of going without it.